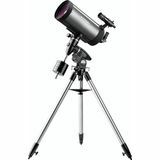 With its high performance and long focal length optics along with ease of setup and portability, the StarMax 127mm is ideal for the intermediate astronomer. 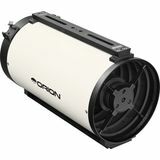 Add the optional EQ-3M single and dual-axis electronic drives for hands-free tracking. 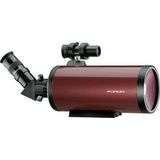 This compact "Grab-and-GoTo" 127mm Mak-Cass grabs a lot of light with its 5" objective lens, and its extra-long f/12.1 optics provide stunning views of bright deep-sky objects, the planets, and Moon. 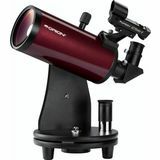 Included eyepieces provide 67x and 154x views. 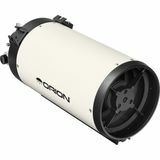 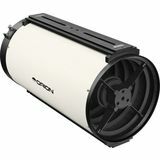 The compact Orion 150mm Mak-Cass Telescope Optical Tube Assembly (OTA) opens up new vistas of the celestial landscape for your viewing pleasure, putting superior resolving power at your disposal. 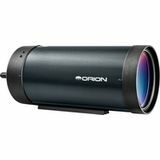 Sold as OTA only, without accessories. 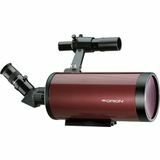 The Orion SkyView Pro 180mm Maksutov Cassegrain telescope is capable of very high-magnification vieiwing and allows you to view planets, close double-stars, clusters, and well-defined deep-sky targets in fine detail. 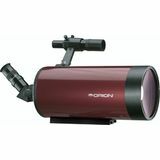 For the advanced astronomer, the Orion Sirius EQ-G GoTo 180mm Maksutov-Cassegrain telescope excels. 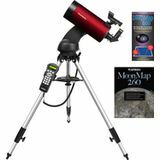 Features a very long focal length for detailed solar system views, and the GoTo system allows you to view over 42,000 objects at the push of a button. 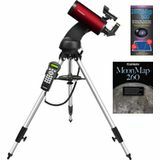 The value-packed StarSeeker IV 127mm GoTo Mak-Cass Telescope Kit is a great setup for beginning amateur astronomers since it's loaded with so many great accessories and features a complete GoTo telescope system. 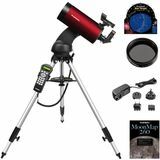 Our pint-sized power performer StarMax 90mm Maksutov-Cassegrain and Tripod Bundle will provide you and your family with pleasing, high-power views of the heavens whether there's a sturdy table nearby or not. 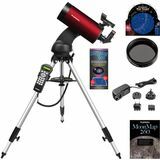 Bundle also includes a 6.3mm eyepiece! Cassegrain telescopes (or catadioptric telescopes) offer versatility and high magnifying power. 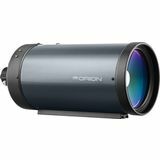 They employ both mirrors and lenses that fold the light path, allowing a compact tube length. 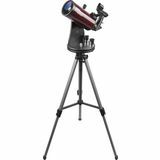 Orion Telescopes carries both Schmidt-Cassegrain telescopes and Maksutov-Cassegrain telescopes in a variety of sizes, all of which provide excellent image quality and all-around viewing capability. 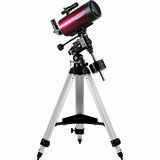 Both types of Cassegrain telescopes feature a front corrector lens that ensures sharp images. 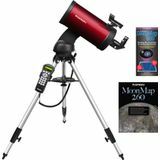 Small Maksutov-Cassegrain telescopes make great grab and go scopes, while Schmidt-Cassegrain telescopes accept a wide variety of accessories for both observing and astrophotography applications.